The main type furnace gas type vacuum heat treatment furnace, structure and characteristics of gas vacuum furnace and regenerative radiant tube technology, the characteristics of HTAC burner structure, furnace temperature distribution and heat balance calculation and NOx characteristics. Since then, Europe, the United States and Japan have attached great importance to the effective use of heat treatment and energy and to improve thermal efficiency. Since electricity is secondary energy, the average fuel has a 36 percent efficiency, and the thermal efficiency of electric energy is generally about 80 percent. Therefore, the thermal efficiency of fuel is about 29 percent. In the 1997 heat treatment industrial research project, the United States listed the diversity of furnace heat source, the improvement of burner structure and the development of oxygen combustion technology. Technology development program in 1999, put forward for improving the heat source materials, the development of ceramic radiant tube technology, improve the shape of heat source, the improvement of heat convection and so on technology, in order to improve the thermal efficiency of a fuel and technology level. Europe and Japan are also promoting rational use of energy in this field to develop industrial furnace technology that promotes high thermal efficiency of low fuel consumption. 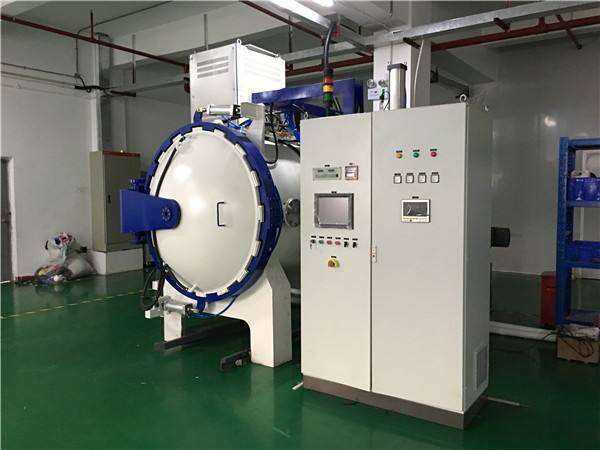 The development, development and promotion of gas-fired vacuum heat treatment furnace and technology is the product of the technical policy and industrial demand of Europe and the United States. Compared with the vacuum furnace usually heated, the gas vacuum furnace has the following advantages: 1. High productivity, high thermal efficiency; 2. Lower running costs; 3. Reduce maintenance; 4. All advantages of electric heating vacuum furnace.